Asphalt Restoration Technology Systems Inc. (AR Tech) is a leader in the world of asphalt maintenance and takes pride in leading the industry by setting the standards and guidelines that others follow. AR Tech offers a full array of asphalt services, ranging from repair, pavement sealing (both rejuvenation and sealcoating), crackfill, and striping to paving consultation services. AR Tech is one of the top asphalt maintenance contractors in the world specializing in pavement preservation, utilizing the original rejuvenator, PDC—Pavement Dressing Conditioner Asphalt Rejuvenator. With more than 60 years of combined experience working on a variety of pavement types from roadways and parking areas to airport runways, AR Tech was recognized in 2013, 2014, and 2015 by Pavement Maintenance & Reconstruction as one of the top 50 pavement maintenance contractors in the country. In 2015, AR Tech was further recognized by the same publication as both one of the top 75 sealcoating companies and one of the top 75 striping companies in the country. Connie Lorenz, President of AR Tech, takes pride in designing educational classes for engineers, board members, property managers, and communities. 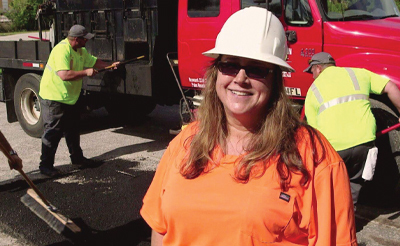 Teaching at the local, state, and national levels, Lorenz, aka the “Asphaltchick,” is recognized as one of the premier experts in proper asphalt maintenance and pavement preservation. She also serves on the advisory counsel for the National Pavement Expo. Lorenz works hand in hand with properties to help them develop customized asphalt maintenance programs, which are designed to seamlessly last beyond the current sitting board and management. She believes that education about proper asphalt maintenance will help protect consumers from those contractors that do not necessarily have the community’s best interests at heart. Contact the “Asphaltchick” today, the softer side of pavement! 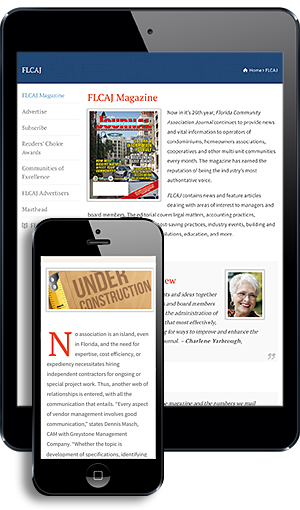 For more information on Asphalt Restoration Technology Systems, call (800) 254-4PDC (4732), visit asphaltnews.com, or follow Connie on Twitter at #theAsphaltChick. With more than 150 years of innovation and service, Sherwin-Williams is a trusted partner for homeowner associations. The road to enhancing your property’s curb appeal and value, while minimizing costs, is full of decisions. Sherwin-Williams can help guide you every step of the way. Utilizing market research, our on-site surveys, and your preferences, Sherwin-Williams helps qualifying customers select colors that relate to your region, personal needs, and market appreciation values. Choose from a wide range of color selection services specifically tailored to homeowner associations, including exterior photo imaging and customized color collections for your community. We have also created a digital color catalog on our website that contains approved paint colors for HOAs. Your Sherwin-Williams sales representative can help get your color schemes uploaded to the site. Our innovative ColorSnap digital color tools can also make color selection easy and provide confidence in your color choices. When it comes to product selection, Sherwin-Williams offers premium exterior paints that offer exceptional adhesion and complete coverage with fewer coats and a great look that lasts, including Emerald™ Exterior Acrylic Latex, Duration® Exterior Acrylic Latex, Resilience® Exterior Acrylic Latex, and SuperPaint® Exterior Acrylic Latex. Sherwin-Williams has a long history of working with homeowner associations to understand their needs, and the company offers post-project services to decrease the complexities that come with maintaining a property. A local representative will be accessible long after the project is completed and is always available to answer questions. Sherwin-Williams offers tools, such as a custom Custodian Report, to keep track of paint colors and products for easy future maintenance. In addition, with 4,000 stores in North America, Sherwin-Williams offers on-site delivery and in-stock reliability to ensure deadlines, budgets, and expectations are met, no matter the project. For more information on Sherwin-Williams, call (800) 524-5979 or visit www.sherwin-williams.com. As many South Florida community associations and property managers can attest, their patio is very important to their communities. The problem with south Florida is that the weather is particularly hard on the furniture. The combination of the sun, humidity, and, in some cases, sand and salt for beachfront properties can wear out the furniture and wreak havoc. It is for this reason that patio furniture restoration becomes an essential part of property management. Restoring outdoor furniture is a green process, which saves money and also helps save the environment. Not only is this process green, but it’s also very cost effective and allows a unique opportunity to customize a community’s restoration and handpick from a large selection of metal finishes, fabrics, and color schemes. This selection includes hundreds of colors, patterns, and fabrics for slings, straps, and cushions, which allows a community association or property manager to select something they feel will fit with their already established décor, effectively creating an overall coordinated and polished look. The flexibility of powder coating makes it a great choice for any metal restoration project. 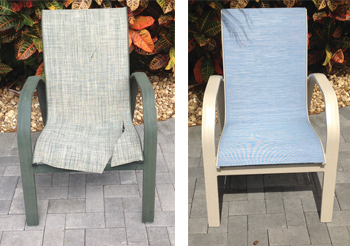 For more information on Absolute Patio Furniture Restoration, call (954) 917-2715, e-mail tammy@absolute powdercoat.com, or visit www.absolutepowdercoat.com. Lake and Wetland Management is a full-service environmental resource management team, providing aquatic weed and algae control, invasive plant management and removal, large-scale invasive exotic plant removal, erosion control services, sediment removal, wetland mitigation management services, native plant nursery and native plant installation, and environmental monitoring. Our team leads the industry of environmental services and has an exemplary reputation with many government agencies, builders, developers, golf courses, property managers, and homeowners associations. Incorporated in April 1992 by brothers Stuart and Brian Fischer, Lake and Wetland Management has gained vast experience in the exotic and invasive plant control business through working in a variety of Florida’s natural environments and various project types. 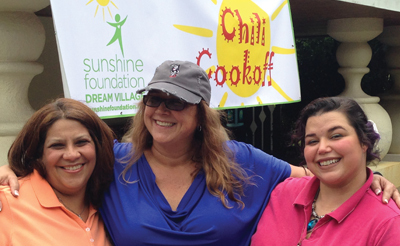 Our time in business has been spent throughout south and central Florida, both on the east and west coasts. Working in different regions and habitat types has made our company versatile, and with the establishment of our newest franchises, we are now proudly capable of better serving clients across the entire state of Florida. Lake and Wetland Management has redefined the standard of excellence that homeowners associations, golf courses, and municipal counties have come to expect from environmental resource management services. Our success comes from our knowledgeable team of state-certified biologists and our use of groundbreaking products such as Dredgesox™ Erosion Control. Dredgesox™ uses our multi-functioning amphibious work boats to dredge shallow sediment into our containment system with patented subsurface anchoring system and permanently repairs eroding shorelines. Additionally, alternatives to dredged material, like dirt or compost, are available as fill. Unlike other erosion control systems, which usually act as a temporary fix, Dredgesox™ can be planted through or sodded over, allowing the vegetation to root through the mesh armor and create a new living system. For more information on Lake & Wetland Management, call (855) 888-LAKE (5253) or visit www.lakeandwetland.com.